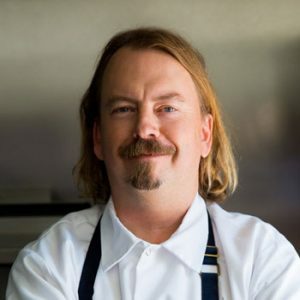 Outside of the restaurants, Fraser has logged some hours on the small screen, most notably on Bravo TV’s ‘Top Chef Masters,’ Fox’s ‘Hell’s Kitchen,’ and Food Network’s ‘Iron Chef America,’ on which he won his battle against chef Cat Cora. He also won his battles on Esquire TV’s ‘Knife Fight,’ and Food Network’s ‘Beat Bobby Flay.’ Over the years, both Fraser and Knoll Fraser have been active members in the community, donating time and talents to a variety of charities. Six years ago, they co-founded Beefsteak, an annual event benefitting the Los Angeles Food Bank with Simpson’s creator Matt Selman, comedian Eric Wareheim and comedy producer Cort Cass.